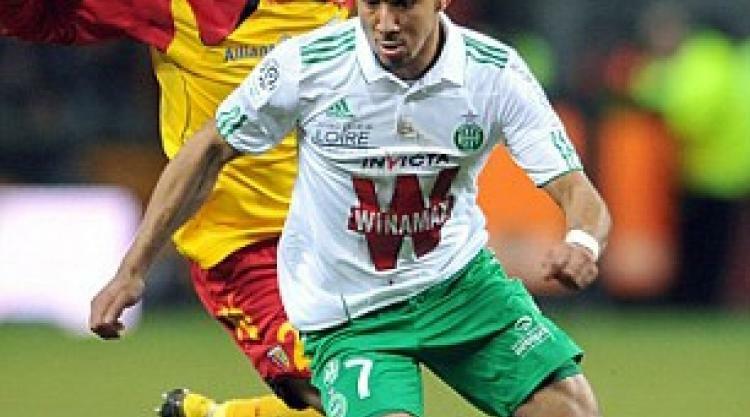 Saint-Etienne have broken off contract talks with Liverpool target Dimitri Payet and admit the rising star could leave at the end of the season. The 23-year-old has been watched by Liverpool and Damien Comolli, the Anfield director of football strategy who left Saint-Etienne in November, is a huge admirer. Payet has won three caps for France and a lot of attention since a blistering start to the season, but his form has dipped amid the focus on his future. The right winger was keen to extend his current contract beyond 2013, but talks have been put on hold by the cash-strapped side as they consider whether to cash in at the end of the season. As well as Liverpool, the £7million-rated player has also caught the attention Napoli, Inter Milan and Aston Villa. Paris Saint-Germain are also keen as they see him as an ideal replacement for veteran Ludovic Giuly. If Stephane Sessegnon gets his way in forcing a move to Sunderland, that will increase the need for PSG to move for a creative right-sided player. Saint-Etienne may have to decide between keeping Payet or fellow France midfielder Blaise Matuidi, who has long been admired by Arsenal. Nonetheless, Romeyer insists: 'Their departure (Payet and Matuidi) is not on the agenda. We have received no offers for Blaise. We also hope to keep him next season. While Matuidi has been consistently impressive for a number of seasons, the club considered selling Payet last season and are concerned that his good start of eight goals in the opening nine Ligue 1 games has been followed by a 10-game barren spell. An obstacle for Liverpool, however, is that Comolli left Saint-Etienne on bad terms. Former Tottenham director Comolli complained of the working environment at Saint-Etienne after quitting and Romeyer responded: 'I have taken that very badly. 'I felt betrayed by someone I had always supported and protected. It's not so much the spitting in the soup, I expected better from him.